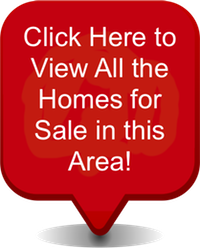 Access all Phoenix Arizona real estate and homes for sale here. Properties in Phoenix are updated daily from the MLS, so be sure to return often to see the newest listings for sale in Phoenix, Arizona. Visitors, who come to Phoenix, simply can’t help but be entranced as their first impression, new high-tech skyscrapers blend seamlessly with southwestern territorial homes. Each is surrounded by 200-year old saguaro cacti which, combined with the teal blue and burnished mountains sweeping the horizon, make Phoenix a picture-postcard paradise. Actually, the feelings that tourists get when they experience Phoenix for the first time are renewed daily for those who have chosen to make it their home. Phoenicians never tire of their awe-inspiring environment and are very protective of it. With this in mind, it is often difficult yet vital to remember that Phoenix is a city that was carved from a desert. The Hohokam Indians, who dwelled here in prehistoric times, were the first to conquer the desert with irrigation ditches. Those same "canals" were later used by 19th-century settlers. However, a consistent water supply to support further development wasn’t secured until the completion of the Roosevelt Dam in 1911. Courtesy of those ambitious efforts, Phoenix has experienced incredible growth since World War II. This growth has included not only young families, retirees, and tourists, but also an extraordinary number of businesses that have adopted Phoenix as their home. 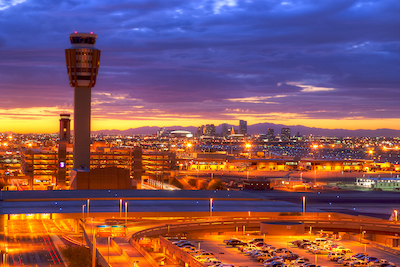 Phoenix has everything a visitor or resident might expect from a cosmopolitan city. Set in an area best known as the Valley of the Sun, Phoenix is the home of Arizona’s state capital and county seat. It is the sixth largest city in the United States by population and the fifth largest city in the United States in terms of land area. The city is composed of many neighborhoods and suburbs with varying characters that radiate in all directions from the centrally located high-rise core. This core is in the midst of an exciting renaissance. Homes range from the moderately priced to stately mansions and the area is home to such facilities as the US Airways Center (home of the Phoenix Suns) and Chase Field (home of the Arizona Diamondbacks). Need more options in your AZ home search? Try our Advanced Property Search. Phoenix is also home to such world-class cultural institutions as the Arizona Opera, Arizona Theatre Company, Phoenix Symphony, Phoenix Zoo, Desert Botanical Gardens, Heard Museum, Arizona Science Center, Phoenix Art Museum, Phoenix History Museum, Arizona State University, Grand Canyon University, University of Phoenix, Arizona Institute of Business and Technology, and the Art Institute of Phoenix. For the sports enthusiast, Phoenix is home to not only the Diamondbacks and the Suns but the Cardinals, the Roadrunners, the Coyotes, the Rattlers, and the Mercury as well. Phoenix is proud of its fine hotels and restaurants and the endless list of events and activities available to all.